These are now available but are not as numerous as one would like. That said, there are approximately 3000 at your disposal. Do not hesitate to try them out or download your own from other sources. 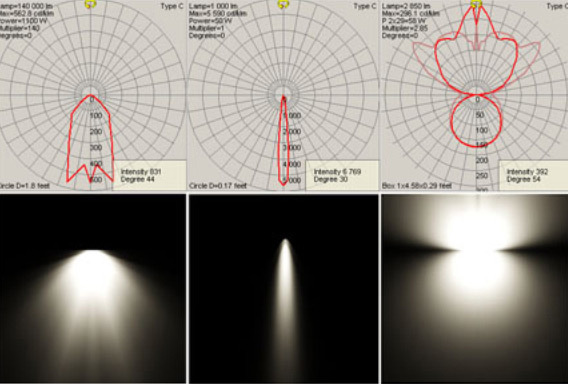 This image shows three different IES files and the lighting form they create when applied to photometric lights.